You have probably heard of the Mediterranean diet multiple times in your life since this is one diet that has stood the test of time. Many “fad diets” or quick fixes come in waves and slowly fade away, as they are sometimes unrealistic to maintain. 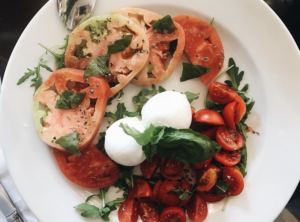 The reason the Mediterranean diet is here to stay is because it is not what we typically think of when we hear the word diet, rather it is a lifestyle. 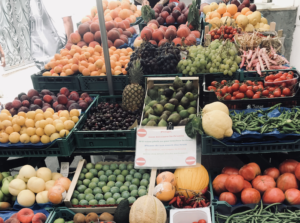 Besides being one of the only science-based diets out there shown to reduce risk for chronic conditions such as heart disease, the Mediterranean diet affects day to day life, not just what you eat. 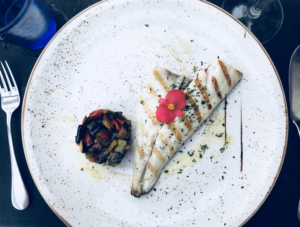 What exactly is the Mediterranean diet and how can you adopt some of these characteristics into your current eating habits? Let’s find out. 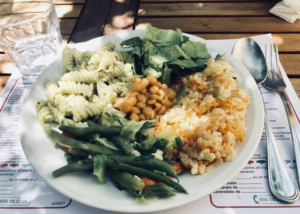 After spending 5 weeks in Italy studying abroad, I saw all different aspects of how Italians eat, as well as learned hands-on about the Mediterranean diet. Some of the basics include being a plant-based diet, focusing on fewer processed foods, and using olive oil as the primary fat of the diet. When people hear plant-based, their minds often shift straight to vegetarian, but not in this case. The outline of the Mediterranean diet is based on a surplus of plant-based proteins, but also contains moderate amounts of dairy, seafood, and poultry with limited amounts of red meat. This means a focus on legumes, vegetables, and whole grains. Opting for a meal such as Eggplant Parmesan or Zucchini Lasagna would be a great way to make a delicious meatless swap with a Mediterranean twist! Since the Mediterranean is comprised of a large array of countries, there is a great deal of variation in food culture. Some countries do have a large amount of seafood in the diet, while others have more red meat. This is often dependent on where they are located on the map. What categorizes these countries in the Mediterranean diet is actually based off olives and whether or not olive trees can grow in their climate. This surprised me at first, but the utilization of olive oil as the main type of fat has shown some outstanding health benefits. Olive oil’s fat profile contains a large array of healthy fats. Olive oil is also packed with antioxidants that are shown to fight off disease. When picking out olive oil at the store, opting for Extra Virgin Olive Oil is best. Enjoying olive oil drizzled over your salad with some lemon or balsamic or using it as a dip for some fresh baked bread would be a great way to enjoy olive oil without breaking down the healthy fats during cooking. When I say that the Mediterranean Diet is more of a lifestyle, I relate that to the relationship of how they eat, not just what they eat. A huge piece of this diet is the decreased use of processed foods. Cooking and preparing your own food can do a lot for your relationship with food and the types of food you decide to put in your body. Including fresh fruits and vegetables, whole grains such as barley or farro, or adding lentils or beans to your meals would be a great way to have whole foods in your diet. Something as simple as deciding to make your own meal and enjoy it with friends or family typically can help you make healthier choices. 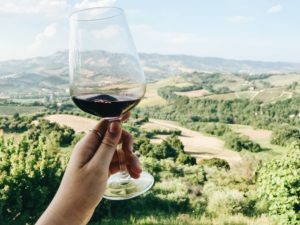 Finally, don’t forget that moderation (for example one glass of red wine a day) is a key component of most nutritional success, and has been proven successful for those that choose to follow the Mediterranean diet and lifestyle.